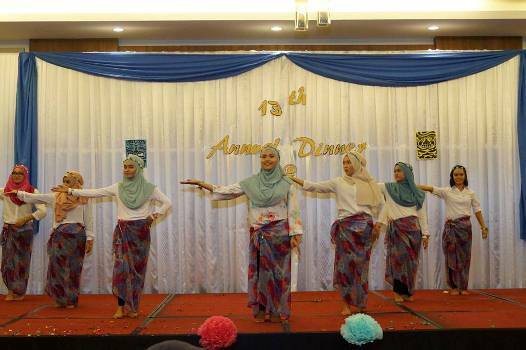 WEDNESDAY, 08 JUNE – Residential College E, Universiti Malaysia Sabah (UMS) recently held a dinner themed, “Aloha, Hakuna Matata” organised by the Art and Culture Exco of the Student Welfare Committee (JAKMAS) of the said college. According to a statement issued by JAKMAS College E, the dinner show with a Hawaiian concept was more relaxing, and saw the attendance of 280 UMS students dressed in their own styles according to the concept set. The statement added, the dinner was held to honour staff and students who had performed and conducted excellent services whilst being residents of the college. The dinner was also seen as the right avenue towards providing space for students to relax and reduce their stress. The staff and students were presented with a variety of exciting performances from student clubs, Fellows and JAKMAS of the college.